Arcade Belts; The Original Adventure Belt. Arcade Belts are a belt manufacturer for the action sports market focusing on stretch non restrictive belt. 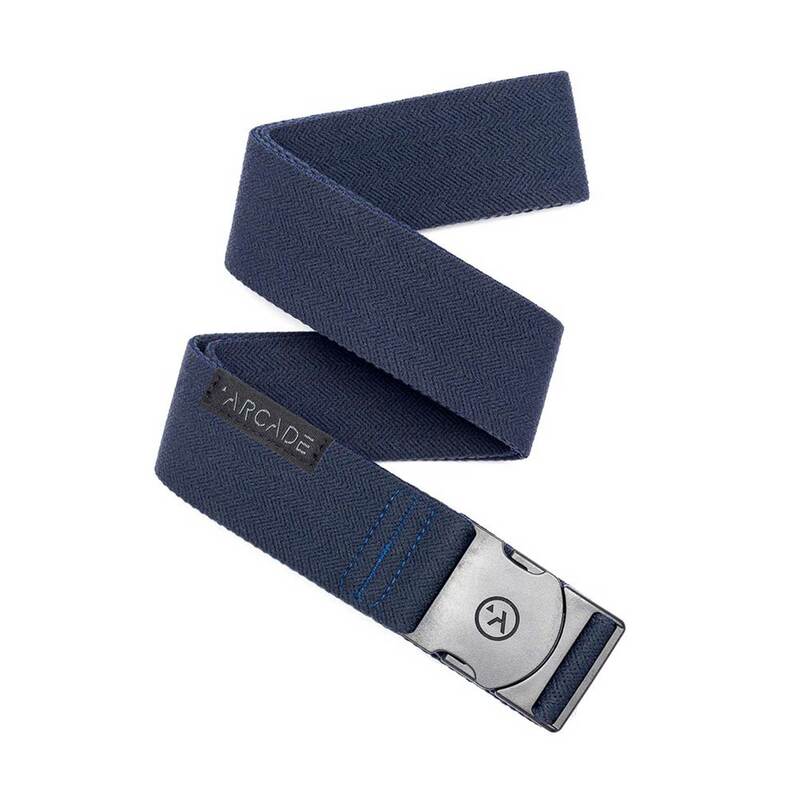 Arcade achieve this by using an elasticated polyester blend material with a plastic clip buckle with quick release tabs. This sounds like a super simple idea and it is but it works. These belts do not dig in when skating, snowboarding, hiking whatever it is that you do that means no more uncomfortable buckles digging into your gut or hip when you ride. The way I like to think of these belts is they turn any pair of jeans or trousers into an elasticated top ''track pant'' feel so you get maximum comfort while still looking like you want. The first ever belt designed for all your adventures. Built to move, to use and abuse and to be comfortable through any activity. This is the Ranger model with olive green elasticated stretch belt, Arcade patch logo and black buckle / clip.